celebrate their libraries and all that reading and information have to offer. Students are invited to design a Library poster using this year's theme "Connecting Communities and Cultures." Posters will be judged by a panel of "Library Experts." The winning design will then serve as the Primary Library Logo for the year! The poster may be designed using any medium, but cannot be larger in size than A3. All entries must be turned into the Primary Library no later than Thursday, October 26th. Research Questions of the Week! Use our wonderful online encyclopedias to answer questions about different cultures. Starting Monday, October 2 a series of questions will be available in the Primary Library or posted right here on this webpage. As a family, see if you can use Encyclopedia School or World Book Encyclopedia to answer the questions. There will be 2 sets of questions available every Monday throughout October, one for grades EY-2 and one for grades 3-5. You will have the entire week to answer the questions. 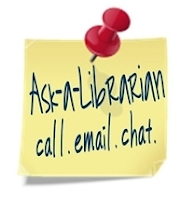 Submit answers to the Primary Library each Friday. All participants are eligible for drawings of prizes including new books! (with the book your character is from) for a photo and a treat! see this year's nominated titles. child drawing. Clip Art. Britannica ImageQuest, Encyclopædia Britannica, 31 Aug 2017.
quest.eb.com/search/314_1884360/1/314_1884360/cite. Accessed 24 Sep 2017. Asian father helping young son with homework. Photography. Britannica ImageQuest, Encyclopædia Britannica, 25 May 2016.
quest.eb.com/search/154_2879246/1/154_2879246/cite. Accessed 24 Sep 2017.